The introduction of agile working environments has been a game-changer for office productivity. Hot locker desking, nature-conscious designs, and agile project management have all been pivotal in transforming office culture across the Western world. The steep decline in private desks has also caused a resurgence in manual hot lockers for staff to store their possessions. However, intelligent hot lockers can be much more than a storage solution: they can trigger huge performance and financial growth for your business. Here’s how. The biggest issue taken by opponents to agile work environments is that with hot desking employees have no secure place to keep their possessions. These range from family photos, to important files, and the spare clothes needed after the cycle to work – and it’s a valid concern. Hot lockers give you all that personal space back, and then some. For a start, they blend perfectly into the agile environment. It’s your own personal locker, though the security team can accommodate swaps and changes at the touch of a button; you don’t even need to change your key card! The locks are totally wireless, and the brief walk to your storage area gives you the short exercise stints demanded for healthy office workers. Across the board, using contactless hot lockers adds another element to your agile environment, and can contribute to heightened productively and job satisfaction. Agile working is all about dynamic action, intuition-based technology, and constant resource optimisation. Hard-wired lockers defy all 3 of these constructs. For a start, 25% of people lose their keys every month. When a key is lost, businesses frequently have to call in an engineer, visit a locksmith, and have a lengthy ‘responsibility’ conversation with the employee. All the while, the employee has no access to their belongings and the company is pouring money in the river. There’s the downtime experienced by employees, but also ongoing costs of repairs, replacements, and reallocations. With a hot locker system, your security manager logs in to the system, deactivates your old key, and prescribes a new one for the same locker. In a dynamic, agile environment where the lockers are shuffled every week, manual key allocation becomes a time-consuming logistical nightmare. Keys are lost, John and Mary get mixed up, and Monday morning becomes 50% less productive. Hot lockers use intelligent management systems which reallocate every locker, update every card, and all without a single minute of lost time. 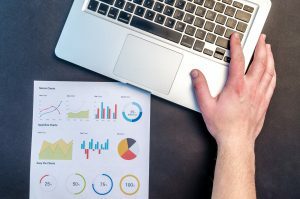 Most businesses which commit to an agile framework are big advocates of data and analytics to foster incremental improvements. With smart lockers, the entire suite is managed digitally and provides yet another source of valuable data for your analytics team. You can see which lockers are used, how often, for how long, and by whom. You can aggregate the data to discover trends in employee behaviour, which lockers are most popular (perhaps cross-referenced with desk position?) and so much more. We can see whether lockers on certain floors are more popular, and redistribute lockers to reflect that. For businesses reaping the rewards of big data and analytics, using hot lockers is a no-brainer. We are now carrying more and more expensive devices and possessions with us at all times. 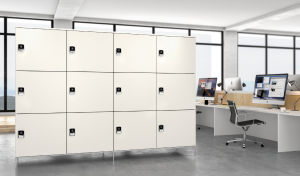 Fortunately, because smart lockers feature enhanced security compared to old-fashioned manual systems, staff can feel confident of leaving these pricey possessions in their lockers whenever they need to. Less secure storage might put employees off using expensive technology on the commute, or even cause thoughts of theft to distract them during the day. It’s also possible to deactivate a key in seconds (say you think your key card has been stolen) and you can track the precise time the locker is opened; match this with security feeds or eye witness accounts, and there’s no way a thief is getting off scot-free. It’s hard to overestimate just how heavy the cumulative cost of locker repairs and upkeep can be. Even for relatively small businesses, the cost of operating an entire suite of hot lockers can be offset by just a handful of manual malfunctions. Since hot locker systems can be retrofitted into existing locker units, the initial outlay is small – from there it’s a simple matter of enjoying the return. When it comes to cost, there is a less direct benefit. Implementing a smart locker system results in more motivated staff, slicker operations, improved agility, and a significant reduction in necessary management resources. Combine all of those things with a strong business model, and it can only lead to improved profitability!